Pray4Zion is an exciting organization committed to genenerously assisting the underpriviledged in Northern Israel. Byron’s “The Destruction of Sennacherib” was originally published in his 1815 book; “Hebrew Melodies,” which included poems written to be set to adaptations of traditional Jewish tunes. The poem is based on a brief story in 2 Chronicles 32:21 that records in one sentence the defeat of the Assyrians by God’s Angel of Death. The destruction of the Assyrian invaders by the Angel of Death is not given any religious significance by Byron …instead, he concentrates on seeing the scene clearly, imagining it so specifically that the reader can see the foam coming from the dying horse’s mouth, and the “withered,” “distorted” bodies of the Assyrian army. The March of ‘Militant Islam’… A few months ago, the world witnessed a new invader called ISIS descended on Nineveh and the nearby city of Mosul. He, too, came down “like the wolf on the fold,” but his forces brandished Kalashnikovs from pickup trucks, not shining spears; their banners were the black flags of the “Islamic State of Iraq and the Sham (ISIL). Soon afterward the henchmen of the “self-appointed caliph” of the freshly “self-declared Islamic State,” Abu Bakr al-Baghdadi, paid a visit to the Mosul Museum. It has been closed for years for restoration …ever since it was looted along with many of Iraq’s other institutions in 2003. But, the Mosul Museum was on the verge of reopening …at last, and the full collection had been stored there! 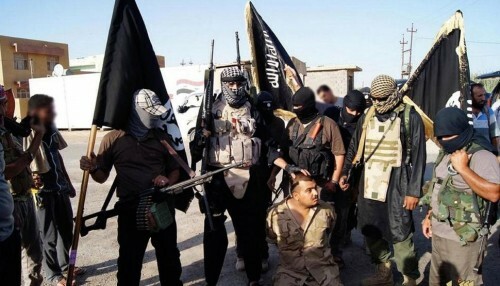 BUT, the arrival of these groups of ISIS terrorists were a brutal shock and with NO warning! The excavations of the last 170 years found Senaccherib’s “Palace without Rival.” They discovered “enormous winged bulls and winged lions with the faces of men,” and they carted away the extraordinarily beautiful “lion-hunt bas-reliefs” that are in the British Museum. But there is so much more to find, so much of such phenomenal beauty and historical importance, that a visitor to those ancient surroundings might feel as if he or she were in touch physically, mystically with the world described in the Old Testament. If only the stones could survive… BUT, the ISIS butchers told the museum staff that the ancient statues were “against Islam” and were “false idols” that would be destroyed! And, sadly, it’s not just monumental sculptures that are in danger, but thousands of artefacts and, also, ancient manuscripts from the many cultures …Christian, Islamic, and pagan that inhabited the region of Mosul when it sat astride the caravan route that led from the Far East into the Near East and Europe. For this evil fanatical strain of Sunni Muslim jihadists, called ISIS, any representation of the human form (with the apparent exception of their own so-called propaganda videos), and any shrine that might lend itself to idolatry, and any place of worship dedicated to the faith of supposedly heretical Shia Muslims, Christian, Judaism and any other religion must be obliterated. The caliphate’s troops have removed statues of people that the city of Mosul is really proud of but they haven’t done anything to statues like the Assyrian winged bull, which are thousands of years old and which look far more like idol worship than these other monuments! Maybe this all sounds very distant but the jihadists’ appetite for violent paganism already has proved to be tremendously dangerous for the West… Those who claim to speak for their “vengeful Allah” take great delight in smashing idols wherever and whenever they can get to them. Theirs is a war of symbols! In early 2001, the Afghan Taliban, encouraged by al Qaeda, blew to bits the towering Buddhas of Bamiyan. Western leaders wrung their hands but took NO substantive action. A few months later, the jihadists attacked some of the most spectacular icons in the world …the skyscrapers of the World Trade Centre in New York City! The Arab Spring that fast became the Arab Winter… During the Arab Spring, in which protests broke out among a number of Middle Eastern nations such as Syria, Libya and Tunisia, among others, violent rebellion led to the secular governments of those nations being toppled. US President Obama praised the Arab Spring uprisings as “…a way to advance democracy.” Soon the US, under Obama’s directive, along with French and British military officers, were training and arming rebels in Libya and Syria to help combat the rule of Syrian President Bashar Assad and former Libyan leader Muammar Gaddafi. The rebels were then aided by US bombing campaigns and drone strikes. Once these regimes were toppled or crippled (in Assad’s case) …the same rebel fighters who were “allies” to the United States, used their weapons, military training and might, to advance their own cause and because of this ISIS advanced as a formidable force! In Revelation 6 Jesus Christ (Yeshua) is the only one found worthy to open the book and it is given to Him as He took His seat of honour at the Right Hand of God the Father. From there, the first four seals were opened, unleashing a series of spirits who bring judgments and tribulation to the world throughout the entirety of the church age. The 5th seal is then opened which brings the spirit of persecution and martyrdom that Christians have experienced from the first century AD and continue to today. “… but an hour is coming that everyone who kills you will think that he bears God service. And they will do these things to you because they have not known the Father nor Me,” John 16:2-3. The crucifixions, the beheadings, the mass executions of men, the kidnapping of women even as young as eight years old sold as wife-slaves to “so-called” Islamist’ holy warriors, the destruction of ancient civilizations and cultures …from Assyrian statues to Yazidi villages. And, the brutal systematic intimidation, extortion and murder of Christians …all have a purpose that can no longer be ignored! Caliph Ibrahim, as he calls himself, wants to provoke a 21st century “crusade” against his newly established Islamic State (IS). He wants to force his enemies into a religious war arousing atavistic instincts rooted in the 7th Century Middle Ages …the great glory days of Islam that linger in the hearts of many Muslims around the world …and by every indication he is succeeding since he regards the US and the West as “weak!” With each American bomb that falls and each drone that flies over the territories the caliph has conquered, he simply comes yet a little closer to that goal! All the while, Christians have been the primary target over their reign of terror, giving a chilling fulfilment of Bible prophecy and the coming End Times. 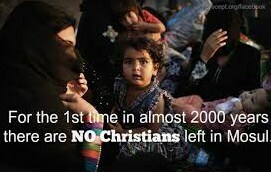 Today Christianity in Mosul is dead …and a Christian holocaust is in our midst! The fight against Islamist terrorist evil requires that those wanting to destroy this evil need to have the courage and back-bone to do so! And, with great determination to calmly take out this evil to the stillness of its death, because in the Middle East “weakness” is viewed as “fear” and is treated with dishonour and disrespect! The late Palestinian leader Yasser Arafat said in 1996: “We know but one word: struggle, struggle. Jihad, jihad, jihad! When we stop our intifada, when we stop our revolution, we go to the greater jihad, the jihad of the independent Palestinian state with its capital Jerusalem.” Jihad is the Arab cry for holy war... They will get their war. But it will not be holy. It will lead to the worst suffering this planet has ever experienced! What is Jihad…? The Arabic word Jihad is derived from the root word ‘Jahada’ (struggle). Jihad has come to mean an offensive war to be waged by Muslims against all non-Muslims to convert them to Islam or be put to death. Jihad is commanded on all Muslims by their Quran! While all forms of religious fanaticism are negative, only Islam raises slaughter of all Non-Muslims to a holy creed and it teaches Muslims to gloat over the killing of non-Muslims and celebrate their death. Therefore Islam is the most insane and dangerous form of religious fanaticism. And, it is not Islamic fanaticism that is to be blamed for this, as Islam itself is fanaticism! The Islamist Jihad “game-plan” is to force a war between the West and Islam... 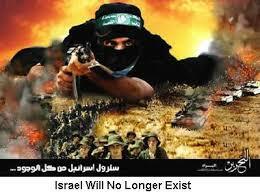 The Islamists terrorists want the Muslim world to be in a constant agitated state against the West. This serves the outlook of the Jihadists! Peace across the globe does NOT suit their agenda of either killing or converting non-Muslims… and this mentality is also reflected in devastating attacks in and on Israel …whenever the Israeli’s relent to the pressure from the US and the UN, to open up their border checkpoints! They will strike whenever “peace” threatens to break out as they are at war with peace! They have three main goals: Firstly, to create a non-border Islamic State with Shariah Law by forcefully claiming land and taking advantage of any “weak” country. 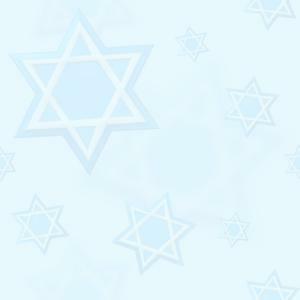 Secondly, to claim back any land previously occupied by Islam in previous centuries such as Spain and especially Israel! Israel though isolated is the only country with the back-bone (other than the Kurds) in the Middle East to stand up against terrorists like Hamas and ISIS. Thirdly, to claim the world for Allah and won’t stop until their black flag flies over EVERY country in the world. South Africa and the West are not immune …and even if we think we can sympathize and support them through the “so-called” Arab Palestinian victims against Israel and the Jewish people …it’s only a matter of time and these butchers will become the greatest evil threat that the world has ever known. There are NO moderate Muslims most have the same vision the only difference is the matter of time! We the civilized West cannot allow ourselves to rest till the threat of the fundamental Islam is put out of the way for all across the globe for all time to come! “O let the wickedness of the wicked come to an end, but establish the just: For the righteous God tries the minds and hearts,” Psalm 7:9. Also read: Psalm 9. The Third World War has begun, in spite of the fact that few people recognize it… The conflict isn’t between communist and free, as we long expected, but instead between Islam and the rest of the world. Although militant Muslims in Iraq and Syria have stolen the headlines, it is not long before we see them around the world, making a play for power. Right away, one fact needs to be straightened out. Many apologists and politically correct people will make an immediate distinction between Islamic terrorists and what they refer to as mainstream Islam. According to these people, the terrorists are the extremists and Islam is a religion of peace. This thinking needs to be reframed. These Islamist militants are responding to the non-Muslims as directed by the Quran and is very clear…. 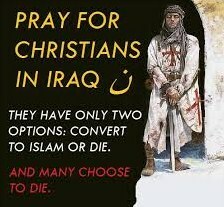 you have a few basic options: convert, flee with nothing, pay a punishing tax, or die! The Quran also instructs them that the entire world is to be converted. Islam is NOT just for a few Middle Eastern countries. No, the banner of Islam is intended for all nations, all the world. And if enticements of paradise don’t work, then that banner should be raised with the help of the sword! This is mainstream Islam, not extremism. The extremists are the liberal Muslims who think Islam has little business spreading itself by violence. Those Muslims, although the vast majority, are apostates and they will be lumped together with the Christians, the Jews, and other infidels, and devils that must be destroyed to make way for a new Islamic State. Radical Islam will NOT stop at the borders of their native countries. The “Islamic State” will not stop at the Turkish or Saudi border. Boko Haram will not stop at the border of Nigeria. Abu Sayyeff will not stop in the Philippines, and Al Shabaab will not stop with Somalia. 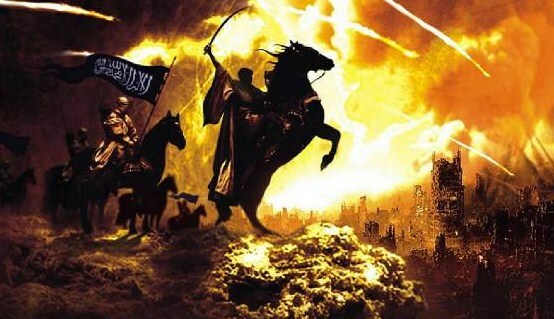 In fact, the world seems to be on the brink of a global Islamic uprising that will not only include the active, militant movements that exist across Africa and Asia, but may soon include outbursts of activity in Europe and the Americas… It’s coming fast…! The SWORD… has historically been Islam’s signature, including key passages having the noted distinction of the “sword verses.” A renowned Sunni theologian, quoted a saying of Muhammad, “I was sent with a sword in my hands so that only god almighty is worshiped without equal. He put my sustenance in the shadow of my spear, and disgraced and humiliated those who oppose my order.” Of course, it is not simply the sword that matters but what Islam does with the sword …Islam is as renowned for beheadings as the Roman Empire was for crucifixion. Beheadings make a statement that goes far beyond an execution. Beheadings in Islam did not begin with ISIS, but with Allah’s so-called revelation in 610 A.D.., as fulfilled by Muhammad’s own recounting in Qur’an 47:4. Most of the people being killed by the Islamic State (ISIS) and other terrorists are not killed by beheading and shooting remains the most common form of execution and ISIS is filming these executions and publicizing their handiwork. A large number of people are also killed by various means including suicide bombings, exposure to the elements and live burial have been alleged in a few cases. However, ISIS and other terrorists are making a spectacle of beheadings to use as propaganda for their evil gain. The incredible spate of savage beheadings which are perpetrated by Islamic militants around the world had many asking the question, “Why do Muslims behead so many people?” In the modern age, there are swift and almost bloodless ways to kill, which makes the use of the beheading subject to question. Islamic terrorists continue their reign of terror over the world as they murder their way into our living rooms and television sets, and other means where we see the gruesome results of their demonic and savage handiwork. Hardly a person in the modern world has gone without witnessing some of the atrocities of the ISIS, Hamas or Al Qaeda-affiliated terrorists around the world. It’s a gruesome decision, to kill by decapitation as we live in an age where there are no shortages of ways to kill… by bullets, or painlessly with drugs. Furthermore, decapitation is a messy affair with the warm blood of victims spilling everywhere as they instinctively strain against the sawing blade. It’s a lot of trouble to go through for both the killer and the victim! Several passages in the Quran mention decapitation of those captured in battle or as a punishment for alleged crimes. Historically, beheading has been widely employed by Islamic nations, including the Ottoman Empire which used the penalty to great effect throughout the centuries. The terrorists who are carrying out these executions prefer and even relish beheading because the act itself has precedent in Islamic tradition! Few things could be more horrifyingly evil! While it is bad enough to kill, we may be able to relate, however tenuously, to the reluctant killer who although misguided, commits the deed out of a feeling of existential necessity. However these are not reluctant killers… These are not people endowed with the same conscience that most others possess. Whereas we could never imagine ourselves committing such an act of brutality, they cannot imagine themselves doing anything less… The proof is in the photos they take afterwards, posing with the heads in photos and captioning their tweets with crude jokes. So, terrorists behead people because they want the attention it brings, because they believe they have a mandate from Allah to use that method …and because some of them actually enjoy the act of intimate murder! The increased persecution of Christians is a sign of the approaching End Times and martyrdom of a certain number of Christians will be the final event before the Day of The Lord! The opening of the 6th Seal (Revelation 6:12-17) triggers the Rapture and the Day of the Lord, the time at which God will pour out His wrath on the unbelieving world. Revelation chapter 6 ends with the powerful people of the world fully understanding that the cataclysmic global earthquake and events of the 6th seal are of divine origin. Most people think the crusades are a thing of the past …over forever. But they are wrong. Preparations are being made for a "final crusade," and it will be the bloodiest of all! 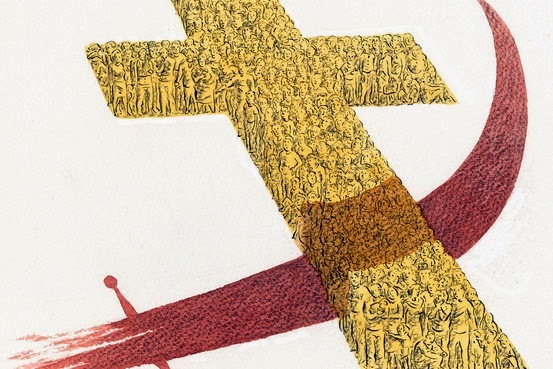 The Crusades created rivers of blood …and it was all done in the name of God. Throughout the Middle East one of the main tourist attractions are the Crusader castles. The Catholic Church built most of them centuries ago to war against the Muslims and control Jerusalem. Though these castles are today stark reminders of the bloody past …BUT they may well be a warning to everyone of a far more bloody future! And, of course, Muslims responded with massive slaughters against the Crusaders, also in the name of their god. These Muslims truly believed and today still believe that they are doing Allah’s work in killing the infidel. They are also more capable of doing this work than at any time in the past. Islamist militants now have modern technology and they have leveraged it to broadcast their mission. Twitter, Facebook, YouTube have all been leveraged to terrible effect. ISIS produces slick videos …even videos which depict brutal executions have a staged, finished quality to them. The message is subtle but clearly these are not ordinary terrorists and this is not an ordinary movement. The terrorists are already recruiting in the United States and around the globe. Hundreds of fighters have come from the West and thousands more from other countries around the world. The Islamic State has sympathizers everywhere. Radical Islam is not confined to a state or country it’s like the Ebola virus when not contained will spread to bring death at an alarming rate! This ideology of Islam has no regard for what a passport says. One is either in or out, an ally or an enemy… World War Three has started and the church that has the answer and true Word of God …simply remains asleep. How much longer before we get serious about this very real, existential threat to Christianity and even our nation? The only defence is to turn back toward God, to convert souls to Christ and abandon our wickedness. Only then will we have the moral strength to confront Islam and stop the evil movement and death ideology in its tracks! It remains to be seen if this can be accomplished! Time will tell…! Even to amazement Pope Francis spoke out on Saturday 13th September 2014 and said that the spate of conflicts around the globe today were effectively a "piecemeal" Third World War, condemning the arms trade and "plotters of terrorism" sowing death and destruction. "Humanity needs to weep and this is the time to weep!" He continued to say, "War is irrational; its only plan is to bring destruction: it seeks to grow by destroying... Greed, intolerance, the lust for power! These motives underlie the decision to go to war and they are too often justified by an ideology..."
If the Third World War has already started, would we even know it…? Or would it only be evident in a rear view mirror? Ask some people you know and the answers would vary. Former British Prime Minister Winston Churchill was warning anyone that would listen about Nazism long before Hitler’s rise to power in the early 1930’s. America, by contrast was only fully pulled into the war when Japan attacked Pearl Harbour in December 1941. A third World War today would be highly complex and diverse. Wars currently underway in the world are either “ideological” in a purely religious sense or strictly “economic” with a view to maximizing profits and both of these phenomena are occurring simultaneously. The Islamic State of Syria and Iraq (ISIS), Boko Haram in Nigeria, Ughur extremists in China, Hamas in Gaza and various other extremist groups in Africa, Asia and the Middle East… with recruitment efforts that reach into developed Western nations of the world are mostly fuelled by extremist ideology. For example, China has been gobbling up resources in South American and African countries without firing a shot! Likewise Muslim Islamists are drawing young people from the West through Social Media and other means to join them in defeating the West through the Islamic ideology. Revelation is the consummation of all the prophecies throughout the Word of God. Revelation 6-19 is the prophetic words; Yeshua (Jesus) gave as signs in Matthew 24 that our generation dare NOT overlook and is an expansion of Daniel 9:27. This informs us that there is unity and divine providence working throughout all Scripture. The seven year period of Revelation 6-19 is Daniel’s “seventieth week” of seven years. The last half of 3 1/2 year of Revelation …corresponds to the 3 1/2 year period of Daniel 7:25. This period is called in Jeremiah 30:7 “Jacob's trouble.” This period is forty-two months or twelve-hundred-and-sixty days long. When Matthew chapter 24 and Revelation chapters 6-19 are compared we find many remarkable comparisons: There will be false Christ’s (Matt. 24:4-5; Rev. 6:1-2); wars (Matt. 24:6; Rev. 6:3-4); famines (Matt. 24:7; Rev. 6:5-6); death (Matt. 24:7-8; Rev. 6:7-8); martyrs (Matt. 24:9; Rev. 6:9-11); worldwide chaos (Matt. 24:10-13; Rev. 6:12-17); and the preaching of the Gospel of the Kingdom preceded by the sealing of the 144,000 (Matt. 24:14; Rev. 7:1-8). There will be the desecration of the Temple and its worship (Matt. 24:15; Rev. 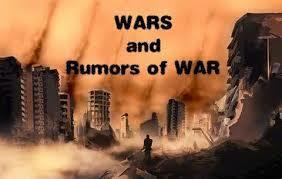 13:1-10); while persecution by the Antichrist will cause Israel to flee into the wilderness (Matt. 24:16-20; Rev. 12:6, 12-17). There will be deception by the false prophet (Matt. 24:11-12; Rev. 13:11-18), with Second Advent terminating the seven year period (Matt. 24:27-30; Rev. 19:11-21). Therefore, Matthew 24 is a prophetic forecast of the seven year period of Revelation chapters 6-19, sometimes called Daniel’s “Seventieth Week” (Dan. 9:27). “And when He opened the seventh seal, there was silence in heaven for about half an hour, Revelation 8:1. There was silence in heaven…! Why is there silence in heaven? The 6th seal brings us down to the climax of the Second Coming of Christ, but does not describe the actual personal appearing of Him. The events are listed up to that time but then stop. Chapter 7 tells us who will be able to stand when He comes, but also does not give an account of His personal appearing the second time. Thus we find here, in the 7th seal, the Second Coming of Christ. The silence in Heaven is a sign of God’s impending devastating judgment. When a people or nation or even the world are so far gone into rebellion against God with no repentance, the Lord removes His Holy people and allows for a period of “silence,” right before His judgements are unleashed onto the world. In Matthew 24:37-39 Yeshua (Jesus) tells us it will be “as in the days of Noah” upon the earth at His Second Coming. People didn’t want to hear or repent of their sins. God shut Noah and his family in the Ark for a week before the heavens broke their silence with the flood. So possibly silence in heaven is about a week? Can we say this for sure, NO! God says “about” so nobody knows for sure and could be slightly more. Psalm 46 helps us understand the silence in heaven. It describes the opening of the 6th seal (the earth in chaos and the wicked who try to hide) and the opening of the 7th seal (the silent experience of the righteous in connection with it). But, centuries ago Hosea predicts things are going to be so great for the people of Israel that the very valley where Achan was stoned… “The valley of trouble” …will become “a door of hope!” Do you know what we discovered? Every time a Christian goes through “the valley of trouble,” there’s always a “Door of Hope.” Now if we want to stay in the valley of trouble for the rest of our lives… feeling a sense of hopelessness and a loss of blessing, we can do that. But, do this first… Look around in “the valley of trouble.” There is a door! It’s a door of hope! We must decide to take action. When we do we’ll walk out of “the valley of trouble” through the “door of hope” and back into the wide place of God’s blessing. Satan will tell us, “NO, you are in the valley and got to stay there. It’s a valley with NO exit!” Hope grows out of hopelessness. We might feel stuck in “the valley of trouble, but there is always “a door!” We must simply decide to walk through it. The Lord is coming…! He will come back for His own, and we will see Him face-to-face and until that time, the Son of God lives within us and has promised to walk with us and never to forsake us. He lives! Hope is alive! Great future events cast long shadows…! Cataclysmic End-Time occurrences don’t just happen in just a day. A gradual build-up to these terminal episodes unfolds over months and years. We believe that we’re in the midst of what is the build-up phase right now. “For when they say, ‘peace and safety!’ then sudden destruction comes upon them, as labour pains upon a pregnant woman. And they shall not escape,” 1 Thessalonians 5:3. The primary signs of the Lord’s Coming, Paul tells us, are like “labour pains.” At first, the pains aren’t intense at all. These initial stirrings are really more uncomfortable than painful. A woman may feel one such pang, then not feel another for twenty minutes or more. But, as birth approaches, the pains get a little more intense… and the pains get closer together! When the woman reaches a stage where the pain is very intense… and those pains are now gripping her with regular frequency …she knows that she had better get to the hospital, or she will be giving birth in the back seat of the car. The pain grows – the intensity grow – the frequency grows and then …life changes! The signs of the Second Coming are evident as we feel ‘birth-pangs’ growing sharper and more incessant, we know that our redemption is drawing nigh!